Discussion in 'Thredbo' started by D-eye, Jan 1, 2019.
sastrugi, Interruptedbyfireworks, LaNeige and 1 other person like this. First ride for 2019 for me, it was a cracker! crackson, Onlybackscratchers, benchives and 6 others like this. Blue sky, hot but bearable, a light breeze and no crowds on the hill with tunes wafting up from below. Village is crowded for the Blues Festival. Sage Oya, crackson, LaNeige and 7 others like this. Epic weekend. Saturday was warm and dusty, had some really fun laps. Sunday was damp, but wow, the dirt was awesome (photo from Sunday) then today started damp and dried up. Gunbarrel has gone to weekends only now. Big shout out to Steph in the ticket office, she is a keeper @Thredbo (if that is Thredbo). Very professional, showed pretty much all the skills I would look for in front of house, I would map out a path for someone like that. Thanks for your help Steph (should you chance to see or hear of this) you were totally brilliant. Another small step forward, much appreciated. kaegee, Scoober, Onlybackscratchers and 3 others like this. Normo, SMSkier, VSG and 7 others like this. And a mega shout to the first aid staff Jo and Davo. And the doc. Fast, caring, bit of a smile and laugh. In a cast ~25 mins after a break and the boy was in a cast. Great stuff. kaegee, sastrugi, Scoober and 2 others like this. Hey @telecrag the lad really enjoyed riding with you and @theflyingmuzz ! Thanks for the tips, he was improving every run until he wasn’t! Scoober and telecrag like this. I skipped the cast and went with a restricted movement brace for my arm. So much better. What did that look like? Was that doc recommended? 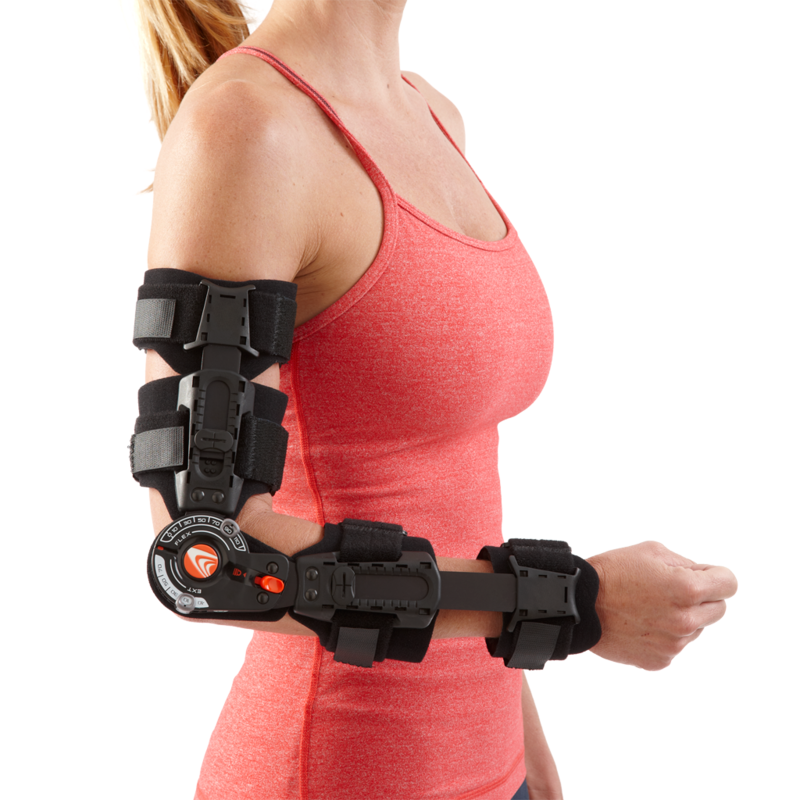 Hinged for elbow with quad velcro, alloy spined, padded and removable. Specialist treatment. Allowed some gated movement but prevented wrist twist. Helped keep everything moving more than a cast and almost no muscle wastage. Plaster is so 20th century. You’ve got a big rack there @crackson !! Thanks for the info, I’ll have a chat to the specialist about it when we get in to see him. Plaster may be old but it was on and set within about 20 or 40 mins of the break happening so I’m pretty stoked. Would have been hours at a hospital or GP and I reckon the bloke doing it would have done more in most weeks of his career than the average GP would do in a lifetime! PS you look younger than I thought you would. Jo and Davo are very good friends of ours, you were in the best hands possible there. Interruptedbyfireworks, DidSurfNowSki, Kletterer and 6 others like this. LaNeige and zac150 like this. What did you stop for? Kletterer, Sage Oya, LaNeige and 7 others like this. Kletterer, Sage Oya, LaNeige and 1 other person like this. Now I feel like a gin and tonic! Jonathan_P and zac150 like this. Hahahahahaaaaa...check out the legless one behind the beer! sastrugi, DidSurfNowSki, SMSkier and 1 other person like this. We have all heard of Lawyer weekend, but this weekend is the lesser known bin weekend, I caught them lining up for tix. AJS, NewTurns, Interruptedbyfireworks and 18 others like this. Good riding today, could be better tomorrow as its raining a bit. Jellybeans1000, Kletterer, jonathanc and 9 others like this. At least this isn’t rubbish. Where's the chardy on the village green ? @telecrag , hey bro, so lucky, dodged the bullet of extermination! Second chance....the world is your oyster! Ted Harper, Fozzie Bear, telecrag and 2 others like this. telecrag and DidSurfNowSki like this. Jellybeans1000, Kletterer, Ted Harper and 7 others like this. Can anyone tell me when Thredbo take money for the season passes we paid deposits for last year? I can't find any information whatsoever in my emails or my Thredbo account about the passes we paid $49 each for last winter. Pretty annoyed and not surprised. Should be in your emails - pretty sure it's in May unless you've already been up during summer. I thought you had to pay for both before the opening weekend, so the 365 was the opening of the mtn bike weekend and winter pass was end of May. We bought Winter premium passes and the tax invoice Thredbo sent me via email shows the final balance payment of $760 will be deducted from our credit card 30 April 2019.
sastrugi, Ted Harper, zac150 and 1 other person like this. The email is not showing up in my email box but at least I have a lead to follow with KT. NewTurns and Sage Oya like this. One time for some reason my deposit got put against a winter pass, instead of 365, they sorted it on the spot no worries. So long as your deposits are down, they will fix it, but Id expect the email has gone missing into my Nigerian Bitcoin wallet, and your account will be debited on the advertised date, thank you, please come again! Not sure this is still the case, last year I stuffed the kids passes and the Thredbo line was bad luck. They would change it but only for the current discount offer. Jeebuz...just give Stuart a call! Online, or in person? That persons name start with S? Man, he spends a fkn fortune up there, smart work would be fix it. He could surely chat with someone if he wanted though? I do recall a couple of stories, but it was their fault, BUT, some leeway on regular (and I mean fk me what computer system are you running that doesn't show that) would be simple and good PR. Actually, you know, a large part is the people. For regulars at least. Sage Oya and DidSurfNowSki like this. I'm surprised @telecrag gets any skiing in, everyone seems to know him up at Thredbo and wants to chat. Even the head of the ski patrol. Both of us online and yes that person is who you think. The thredbo system isn’t great, I managed to buy a ski ticked for that day at 9pm at night once. The ticket office did um and argh till I pointed out they had sold something after they closed the lifts. Does the Kosi chair have a maintenance break in May? Yes. They run Snowgums whilst it's closed. Yes, it did snow! It might have wrecked the mtb races this weekend but it was great to see for the winter lovers. Jellybeans1000, Sage Oya, Scoober and 8 others like this.